So you’ve made the decision to migrate to Microsoft Office 365. Office 365 boasts real-time collaboration and 1TB online storage per user. But what if you want it to do more? What if you wanted Office 365 identities to be able to extend to systems, infrastructure, WiFi, and apps – provisioning and deprovisioning access to all of your key IT resources? I’m here to tell you that it is possible to use your Office 365 identities as the core user identities at your business. But you’re not going to be able to do it with Microsoft Active Directory. Or, with Azure Active Directory either. AD is firmly rooted on-premises, while more and more of the best IT infrastructure and systems are moving to the cloud. O365 exemplifies this trend, but I could also list off a thousand other examples, from Google Apps for Work to SalesForce, AWS, Virtual Machines / containers, and LDAP-as-a-Service. In order to authenticate access to the wide range of resources in use at organizations today using O365 identities, you would need a cloud-based directory that was tightly integrated with Office 365 while also able to communicate in the wide variety of protocols in use in modern IT – including SAML, RADIUS, Kerberos, and more. DaaS is short for Directory-as-a-Service®. If you haven’t heard of it, you’re not the only one. DaaS is on the “bleeding edge” of innovative directory tech. But you can get ahead of the curve by reading our DaaS primer. 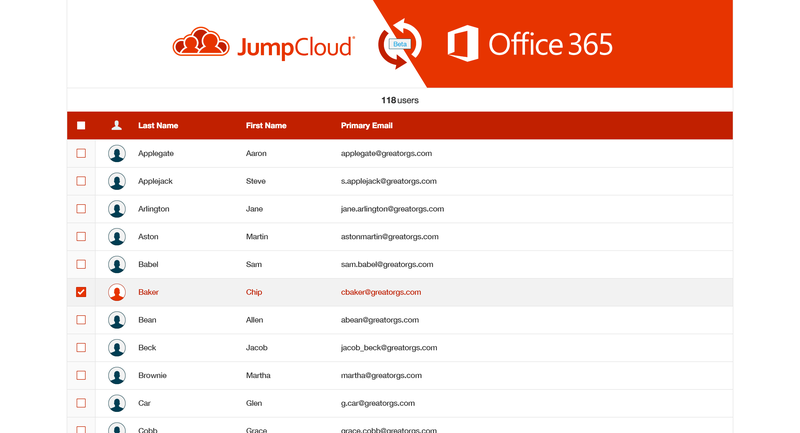 As you can see, Office 365 exchanges and authenticates identity credentials between JumpCloud’s Directory-as-a-Service. From there, access can be centrally provisioned or deprovisioned to govern a wide range of resources, infrastructure and devices. IaaS Access & Management: Amazon Web Servers, Windows, Linux, SoftLayer, Rackspace, and more. O365 can become the hub for all of your servers, networking infrastructure, and Infrastructure-as-a-Service. Application & IT Resource Access: This category includes managing WiFi access, servers, and even Slack. LDAP & Rest APIs: leveraging these pesky (but useful) protocols becomes a breeze with O365 and DaaS. Workstation Access Management: DaaS is platform-neutral, working seamlessly across Windows, Mac OS X, and Linux machines. Getting started with O365 and DaaS is simple. Just import your users from Office 365 into the DaaS. It requires no on-premises hardware and DaaS is even free to try (forever) for your first ten users. If you’ve already decided to migrate to O365, then why would you cling to on-premise directory infrastructure? That’s called taking a step forward while keeping one foot firmly planted in the past. Paired with a cloud directory, O365 can serve as your core source of identities across your whole organization. Moving forward, that grants you total independence when making infrastructure decisions (which means you get to pick what’s best for you, not what’s compatible with the limitations of your directory). You’re no longer married to Microsoft solutions or devices. You gain a single point of control for all identities, linked directly to Office 365, and you never have to worry about managing, maintaining, or paying the data center infrastructure for a server on-premises ever again. 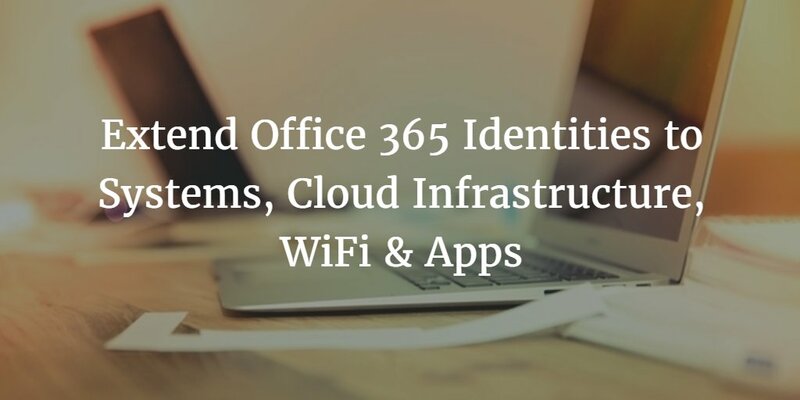 Servers, WiFi, apps, and infrastructure are all connected to your Office 365 identities and you can manage them from one centralized location in your browser. Welcome to the future of directory services. 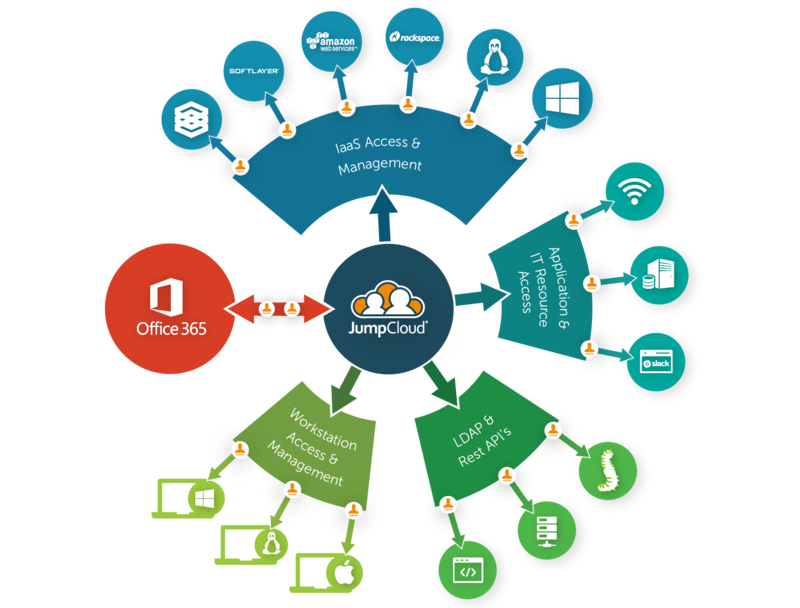 You can learn more about Office 365 provisioning and synchronization here or simply get started with your free trial of JumpCloud’s DaaS to see how it works for yourself.